Ninety high school teams from across New England will compete for $100,000 in scholarships to WPI. 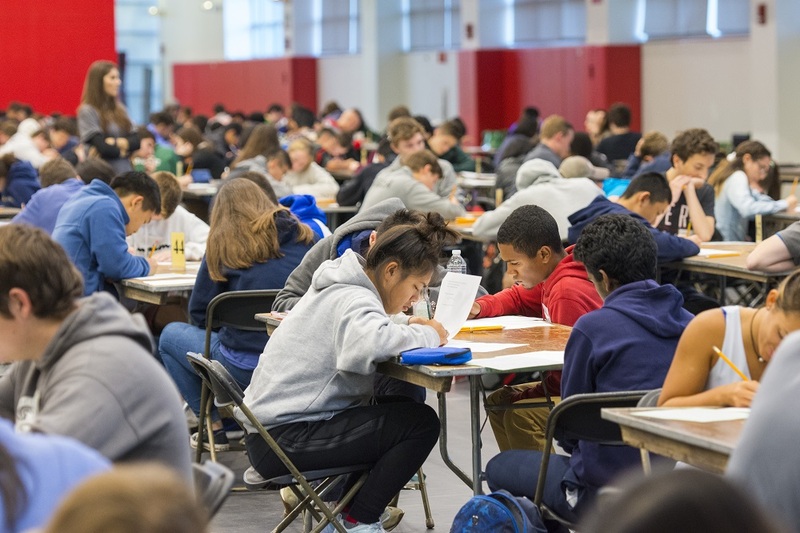 Since 1987, Worcester Polytechnic Institute has been putting some of the region’s top high school mathematics students to the test in its annual math meet. Now in its 31st year, the WPI Invitational, sponsored by the Mathematical Sciences Department, has grown to be one of New England’s largest math meets. This year, 90 teams representing public and private schools will compete in this prestigious event. Where: Sports and Recreation Center, WPI Campus, Worcester, Mass. When: Tuesday, October 16, 2018, 8:30 a.m. - 2:00 p.m.
Students and teams will compete against each other by completing a series of increasingly difficult math problems, which they must answer within a set amount of time to score points. The winners will receive more than $100,000 in individual and team scholarships to WPI: The first-place winner of the individual student competition will receive a $3,000 scholarship and a plaque; the second- and third-place winners will receive $2,000 and $1,500 scholarships, respectively. Each of the remaining schools' top scorers will be awarded a $1,000 scholarship, while the top nine team competition winners will receive WPI scholarships of up to $1,000 per team member. The individual student competition will take place from 8:45 to 9:30 a.m., and the team competition occurs from 9:50 to 10:35 a.m. Winners will be announced during an award ceremony in the Rubin Campus Center scheduled for 12:45 p.m. Note: WPI cannot provide team member information. Please contact the participating school directly for that information.